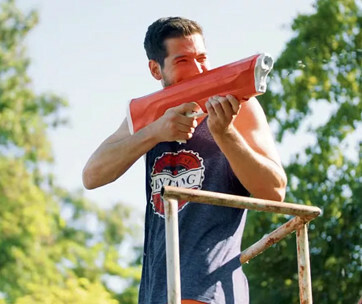 Kids and teens, as well as adults still pretending to be kids who have ever used Nerf guns or blasters in many of their backyard playtime activities with friends, will love the Nerf Blaster Modification Guide penned by Out of Darts YouTube sensation Luke Goodman. 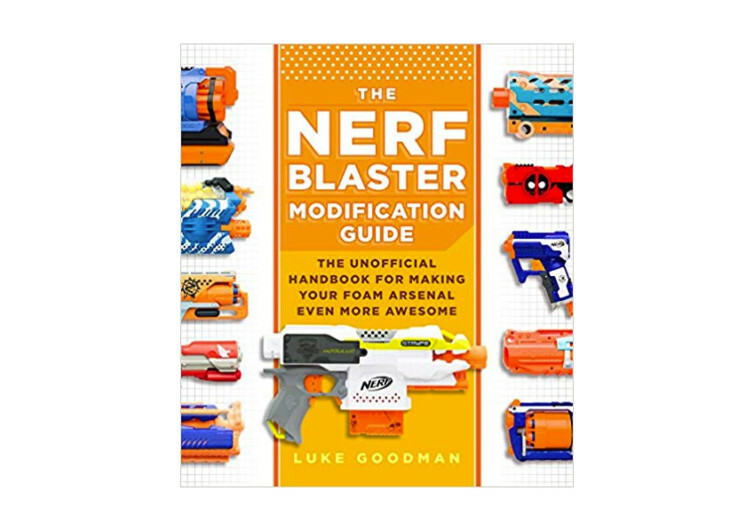 It’s the Bible of Nerf Blaster users, the master blueprint for tweakers who are out to make their Nerfs even cooler, with greater range, and more ammo capacity. Employing the same wit in his YouTube channel talking with his fans, Goodman makes it exceptionally easy to follow his guide in coming up with seriously-enhanced and ridiculously modified Nerf Blasters whether it’s the N-Strike Elite, the Vortex, or even the Zombie Strike. For female shooters, it’s always nice to know that you can always tweak the Rebelle. 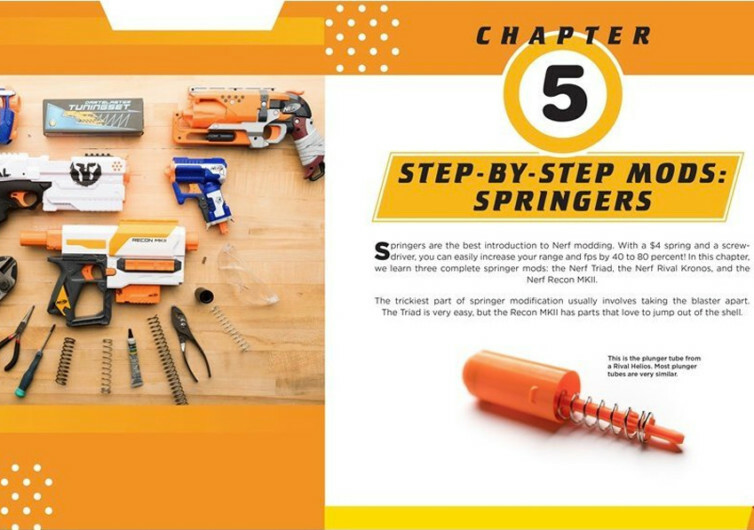 The Nerf Blaster Modification Guide starts off with two of the most fundamental propulsion systems in any Nerf blaster. Learn and master the dynamics of these systems and you can tinker with almost any other blaster. It’s one of the key elements to modification and something that both kids and parents alike will surely have no problems learning from. Goodman takes you through a variety of simple yet equally effective modifications or tweaks on your very own foam blaster. The steampunk-inspired artwork on a variety of Nerf blasters will surely get you all pumped up in taking your toy gun to a whole new level. 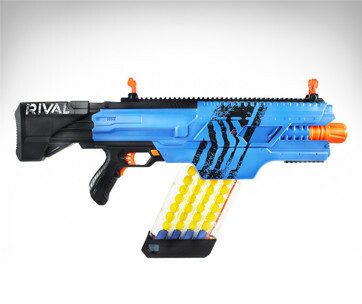 It’s a great way to unleash one’s creative potential with the Nerf blaster as the canvas. 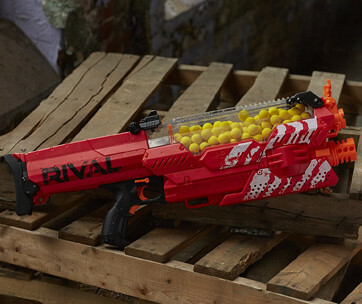 You’ll definitely be the talk of the town for having the coolest, most wicked Nerf blasters in the neighborhood. The instructions are very easy to follow. Some folks no longer read the instructions as the accompanying graphics and images are more than adequate to get you rolling from one mod project to the next. Of course, you can always refer back to the text just in case you missed something in the studio photographs. 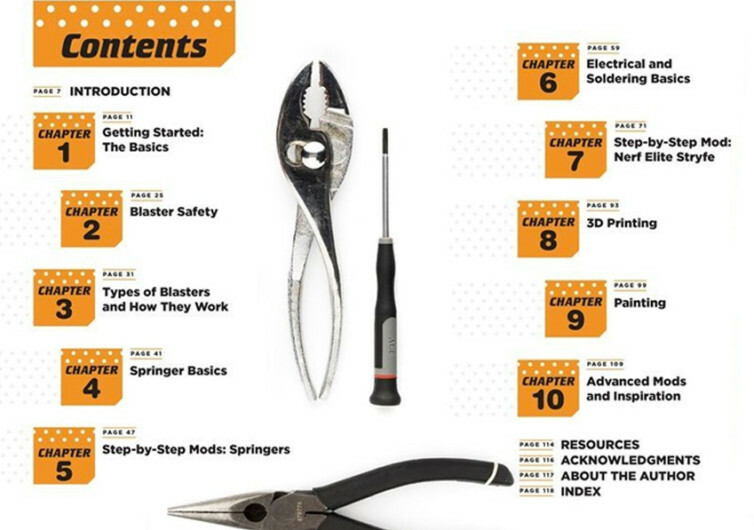 The Nerf Blaster Modification Guide is perhaps the best gift you could ever give to someone who’s really agog about these foam blasters or those who simply like to tweak stuff.